After a long wait and a mind blowing craze of fans for the trailer of Akshay Kumar’s upcoming movie Baby, makers have decided to release movie’s teaser on 20 November 2014. Shoot of Baby has completed a month ago and the trailer of the movie was supposed to be released in December but after seeing huge excitement of fans, Akshay & Neeraj Pandey have announced to release its special teaser on Thursday. This year is very favorable for Akshay Kumar, he got huge appreciation and added high fan following in his account. This is the reason that fans are very much excited for his upcoming movie Baby. From last 5 days the search tag “Waiting For BABY Trailer” was trending on twitter in India, which is really a great welcome for any movie and its makers. This kind of over whelmed pre-release response is showing that the movie will create records at Box Office after release. 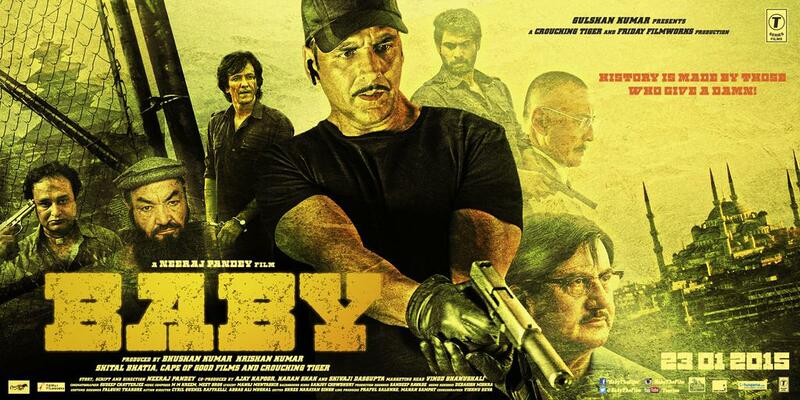 Baby is releasing on 23 January 2015 and its first official teaser has been released out.